​Stray dogs are ubiquitous across the globe such that today or tomorrow you will confront a stray in your area. If you would have noticed half of the time they avoid confrontation with you. Ever thought why? 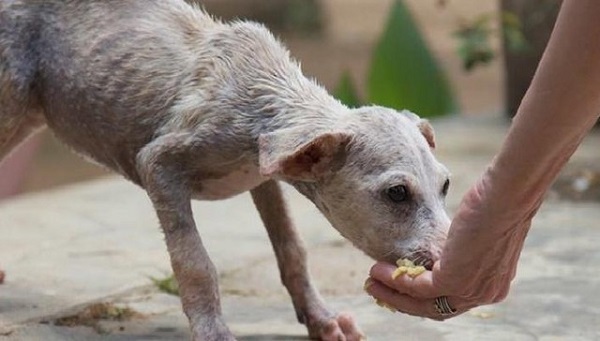 Most of the people don’t treat stray dogs well. They are mistreated almost every time. With nerve wrecking incidents of killing strays just to get back at them are furthermore disturbing. Whenever you come across a street dog, they aren’t just ready to attack you but urging you to listen to them. 1. Play with me and I can be your best friend for life. 2. Don’t throw rocks at me, I won’t hurt you. 3. I’m scared not by you but the world who thinks killing me is the best solution. 4. I’m protecting my friend, and my friend protects me too. 5. Sometimes, humans aren’t as appalling as they seem to be. 6. Our lunch is the trash can near your house. 7. Adopt me! I will never let you down. Killing is never a solution to anything. One has to make an effort and understand. Just because dogs can’t voice themselves doesn’t mean you could treat them however you want to. Hear them and I'm sure they’ll hear you too. Jawahar Damodharan is earning by writing this article. You can also earn by writing articles.